What Apple makes, it often makes smaller. And so is the case with the iPad mini, arguably the best tablet computer ever made. Nearly everything that makes the full-size iPad fun to use, the iPad mini makes funner. Even with it's diminutive profile it can still feel heavy after awhile. 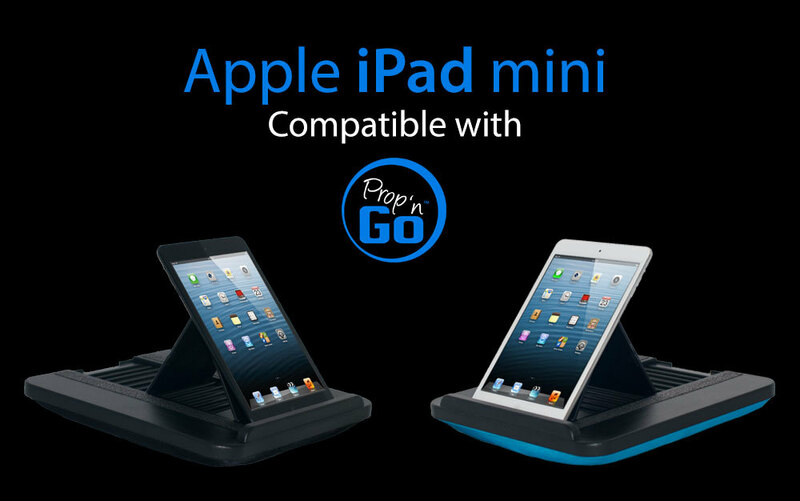 Whether you want to watch movies in bed or play games on the couch, iPad mini fits comfortably on Prop 'n Go. See iPad mini resting on Prop 'n Go below.